The division bench of Justices Ramesh Sinha and RekhaDikshit of the Allahabad High Court has ordered the Chief Secretary of the State of Uttar Pradesh to pay a compensation of Rs.2 lakh to a student of Class XII who was tortured in police custody despite being completely innocent. The Bombay High Court in Goa told the prison authorities to consider granting parole to a prisoner for attending his own marriage. Justice RS Endlaw of the Delhi High Court dismissed two petitions filed by Jindal Steel and Power Ltd (JSPL) seeking continuance in dumping fly ash at the Gare Palma mine in Chattisgarh so that its thermal power plant in Dongamahua remains operational. Court also imposed a cost of Rs.1 lakh on JSPL. 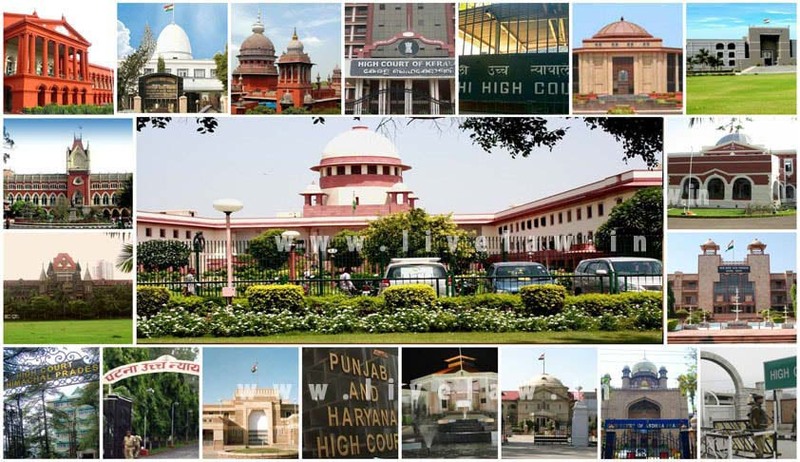 The Delhi High Courtrejected a writ petition wherein a student sought a direction to the CBSE to change his name in all the records maintained by the Board, and to issue a fresh mark-sheet and certificate of Class-X Examination passed by the student in 2015. The Delhi High Court dismissed the plea of a teacher who had challenged the letter of termination of her services issued by the RashtrapatiBhavan, Kalyan Kendra. The Madhya Pradesh High Courtpulled up the Madhya Pradesh Board of Secondary Education (MPBSE) for not properly evaluating answerbook of English language examination of a student. The Madhya Pradesh High Court come down heavily on a PIL petitioner and his counsel for indulging in publicity stunts by releasing copies of the writ petition to the press even before notices were issued or cognizance taken on their petition. The Madras High Courtallowed a revision petition by an accused in a bribery trap case and held that an accused is entitled to apply for deferring the cross-examination.